Accounting is a crucial part of being an Amazon FBA seller. Accuracy in accounting is vital to increase profits, manage merchandise, and grow your business. Many Amazon FBA sellers find that going the DIY route works at first. However, once their business grows, the accounting naturally gets more complicated, not to mention time consuming. Their once simple accounting process, now takes up to 80% of their time, which is taking time away from other aspects of running their business. In addition, many sellers find reconciling their income data from Amazon with their settlement statements increasingly difficult the bigger they get, especially when they are selling in multiple states. At some point, all Amazon FBA sellers can benefit from professional representation. A professional tax accountant can advise about Amazon seller tax set up, which can save time and money. There are many misconceptions about selling products on Amazon that should be addressed. Incorrect information about what sellers need to do in order to be successful, can do more harm than good. We would like to shed some light on some of the most common myths about Amazon’s FBA seller platform. It is of popular belief that Amazon uses the buy box to push out third party sellers. This is a common misconception that couldn’t be further from the truth. This year alone, over 50% of Amazon sales were from third party sellers. The reality is, is that in order to remain competitive and improve visibility, Amazon sellers need to be proactive and innovative in how they present their products.Products need to be consistently optimized and pricing needs to be updated on a regular basis. In addition, using tools like Amazon Sponsored Product Listings or Headline Ads can make a huge difference. The bottom line is Amazon sellers cannot be complacent about their listings. Simply adding products will not get them sold. Don’t get us wrong, 5 star reviews are fabulous. However, what most Amazon shoppers look at are the number of reviews. In this case quantity might have an advantage over quality, so long as more favorable reviews are on your side. Sellers need to be proactive in asking for reviews. Solicit reviews by following up with customers with an email or provide and insert in your packaging. Also, be diligent about answering questions about your products. Engaging with customers goes a long way. Make it easy for customers to contact you with any concern they may have. This gives you the opportunity to address customer concerns directly. Many sellers believe that they have nexus in every state Amazon does, especially after Amazon announced in 2017 that they were going to collect sales tax in additional states. Amazon is a separate business from your company. They have nexus is states where they have nexus triggers, ie: warehouses or employees. Likewise, you have nexus in states where your merchandise is being stored in an FBA warehouse. This also doesn’t mean that just because you are an FBA seller, you have merchandise in every FBA warehouse. Amazon only stores your FBA products where it makes sense, based on your products and sales. This can fluctuate constantly, and Amazon does not make it a priority to inform you. So, monitoring your merchandise is crucial and part of Amazon seller tax set up. Many seller believe that they can limit their nexus to one state with the FBA Inventory Placement Service. In reality, this service simplifies the process of shipping products to Amazon by allowing sellers to ship product to one fulfillment center. However, from there Amazon can ship it to multiple fulfillment centers around the county. It depends on where the sales are and where it makes sense for the product to be. 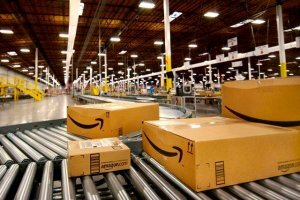 In addition, another aspect of the FBA Inventory Placement Service that is often misunderstood, is that Amazon does not guarantee that sellers can ship to the same fulfillment center each time. It is important to understand that each time it changes it creates a new nexus. Identifying where you have nexus is an important part of Amazon seller tax set up. Working with a professional can help you identify states where you have nexus. Just because Amazon knows where your inventory is being stored does not mean they are collecting sales tax on your behalf. It is up to the sellers to alert Amazon of the states they have nexus. You can view a list of each state where your inventory is being stored by running your Inventory Events Report in Seller Central. You will have nexus in each state where your inventory is being stored, and therefore may be required to collect sales tax for those states. The next step is to go to Sellers Central, click on Settings Link and select the Tax Settings page. From there you can tell Amazon which states and localities to collect sales tax from. John sells a single product, let’s call it a widget. The widget is sold in one-, two-, and three-packs. John gives a small discount on the two-pack and a steeper but still small discount on the three-pack. John’s logic is that the single unit sale is his best bet because it has no discount, right? Well he is in one way correct but he fails to look at shipping costs. When you look at shipping costs, the one-pack is actually the most expense per unit price because it costs the same to ship a one-pack as a two-pack. That means that a two-pack has better margins because the cost of the shipping is getting spread across the sale of two widgets. See the table below which shows that on a product basis alone, the one-page has the highest operating margin. But at the net-of-shipping level, the two- and three-packs are clear winners, even though the widgets are selling at a lower price on a unit basis. This is an example of a business who was missing out on margin by focusing marketing on selling one-packs when the multiple packs should have been the focus. Working with a professional tax accountant is best when it comes to Amazon seller tax set up. Strategic tax planning is an important part of increasing your profits and growing your business. To lean more about Amazon seller tax set up subscribe to our newsletter.